For over three decades, waves of artists have called 800 Traction Avenue home. 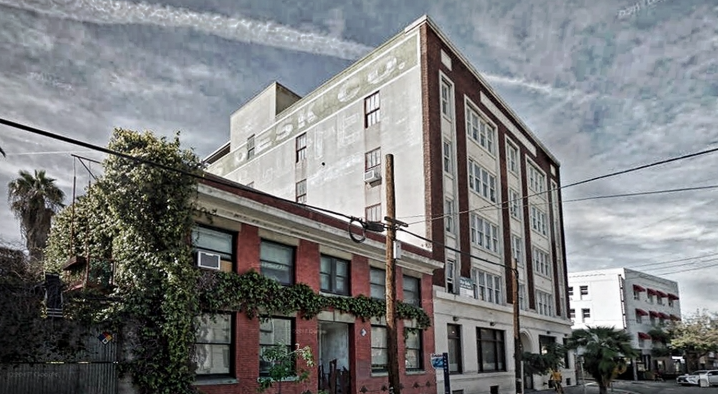 A former coffee and spice factory, 800 Traction was one of the first structures to benefit from LA’s 1981 Artists-in-Residence ordinance, which legalized live-work units in former industrial buildings, paving the way for the Arts District. Last year, however, the building was purchased by DLJ Real Estate Capital Partners, who promptly issued eviction orders to the residents, many of whom are Japanese-American senior citizens. The erasure of 800 Traction would be a blow not only to the artistic community, but to Japanese-American Angelenos specifically, who were instrumental in developing this area sited on the edge of Little Tokyo. For the past eight months, a network of community activists have led a campaign of eviction resistance, and this Saturday, they’re organizing an event to celebrate the building’s legacy and prepare for the future. 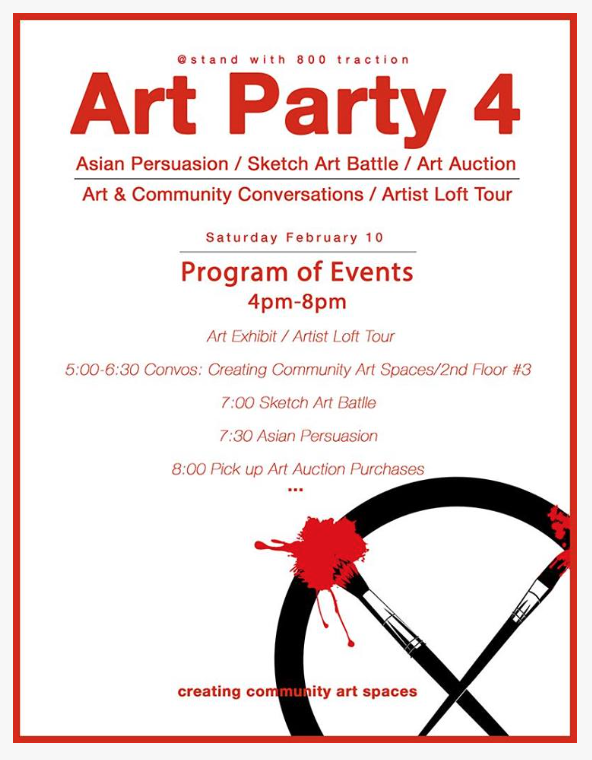 The program will include an exhibition and auction featuring work by resident artists Bruce Yonemoto and Nancy Uyemura, as well as Gaijin Fujita, Prime Carlos, and Daniel Martinez, a Sketch Art Battle, and tours of the lofts, which serve not only as living spaces, but also as historical archives. Uyemura, for example, is the caretaker of the archive of Mike Kanemitsu, an influential artist and educator. At 5pm, photographer Jaimee Itagaki will host a conversation about developing sustainable community art spaces moving forward. As the event’s organizers ask, what is an Arts District without artists?